Now that you know how erosion affects landforms along the British coast, you need to know how transportation and deposition can also affect them and what they are. In your geography examination, you may be asked about how materials are moved and dropped along the coast. When we are talking about the transportation of materials along the coast, we are talking about how they are moved. We call the main process of transportation longshore drift. Longshore drift occurs because waves go in the same direction as the prevailing wind. The swash then carries material that is already being transported by the sea further up the beach, and the backwash carries material further down the beach. Naturally, this creates a zigzag pattern along the coast. Solution – Soluble minerals like chalk and limestone dissolve in the water and are then carried away in the form of solution. You cannot even see them moving away. 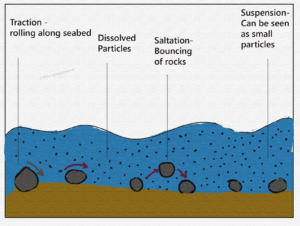 Suspension – Small particles are easily suspended in the sea water. 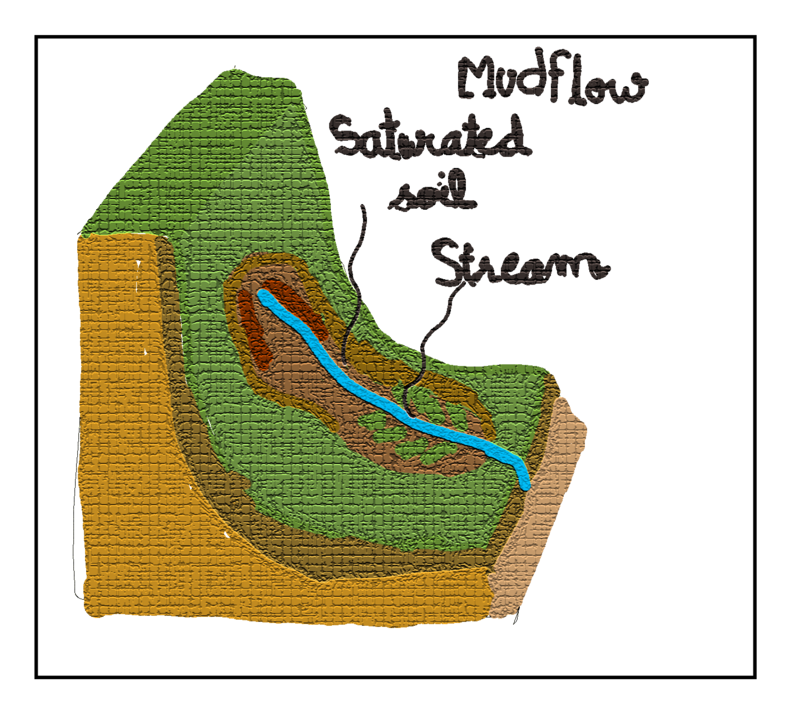 Material like clay and silts are suspended and flow away with the flow. 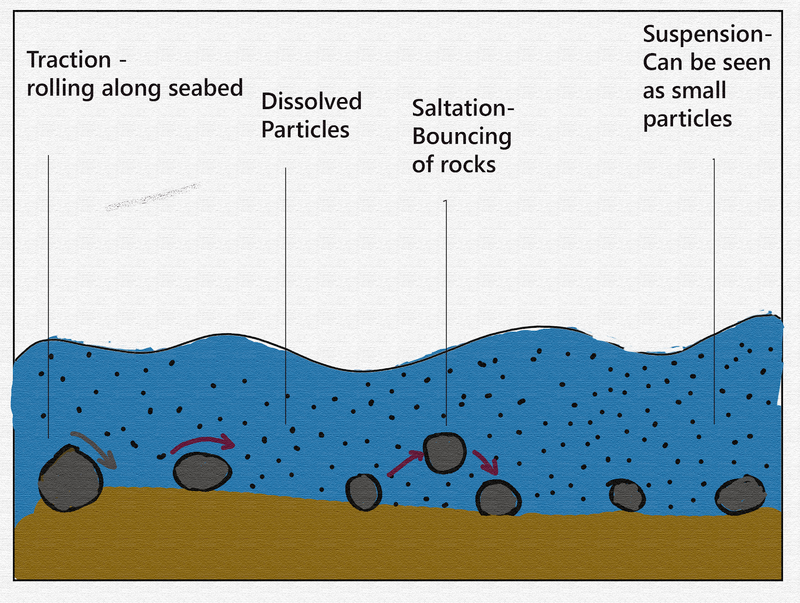 Saltation – Small particles like small rocks and pebbles bounce with the force of water and move with it. 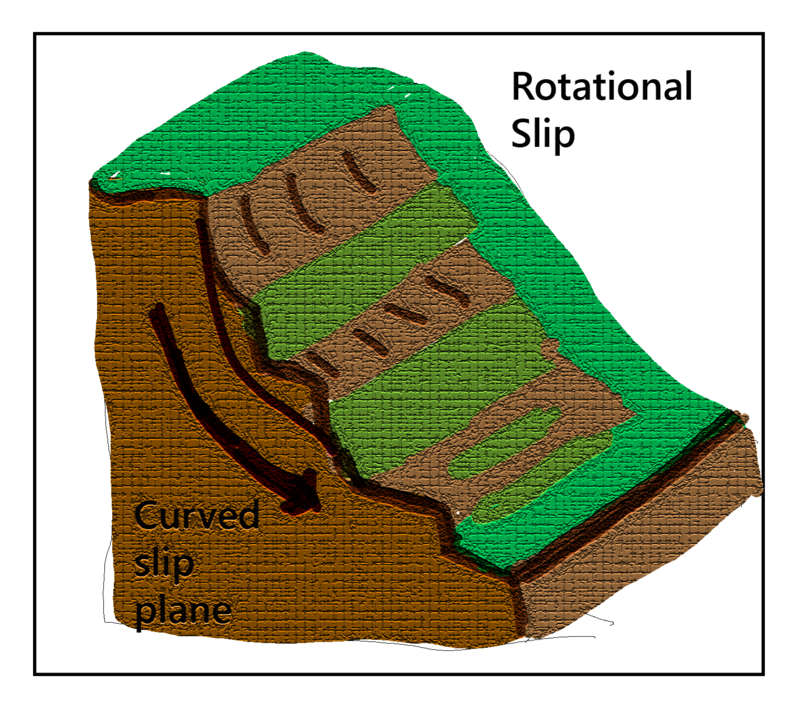 Traction – The are dragged and rolled in the water with force of water and keep getting eroded along the way. Eventually, the materials that are being transported by the water have to be deposited somewhere. This part of the process is called deposition. Usually, materials are dropped somewhere along the coast. But, they don’t usually get dropped until the movement of the water slows down. This is why waves that have less energy carry more material to the coast. They are not strong enough to take material away and the material that they do carry is usually deposited quickly. We call these waves constructive waves. They have a powerful swash that can carry material up the coast, but a weak backwash so that they do not take a lot of material away. When the sea loses energy, it drops the material it has been carrying. This is known as deposition. Deposition can occur on coastlines that have constructive waves. waves starting to slow down and lose energy. As materials are deposited by the sea, landforms can start to form. A lot of the beaches that you can see in the United Kingdom are the product of deposition. This is because constructive waves deposit a great amount of sand or shingle. Sand beaches are flat, wide and comfortable to walk on. Shingle beaches are narrow, steep and they can hurt your feet. The materials that are deposited by the sea can also form spits, bars and sand dunes. Sand dunes are easy to recognise, but spits and bars are a little bit more difficult to recognise. Bars usually look like two headlands have joined together, cutting off some water and forming a lagoon. Although, weathering is not a transportation process but it is one of the major factor that help other agent to help in movement of particles from one place to another. The smaller is the particle the easier it is to be transported by water and wind. The rocks exposed to the water along the coastline is weathered continuously by the action of water. Weathering can be categorised into three types viz. 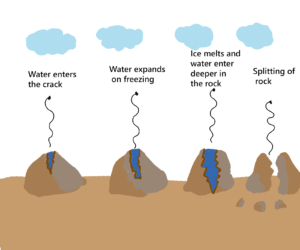 Freeze thaw weathering, biological weathering and chemical weathering. 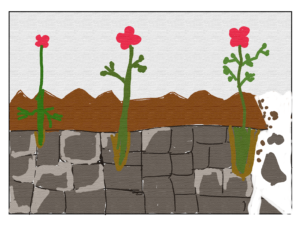 Porous rocks allow entry of water. 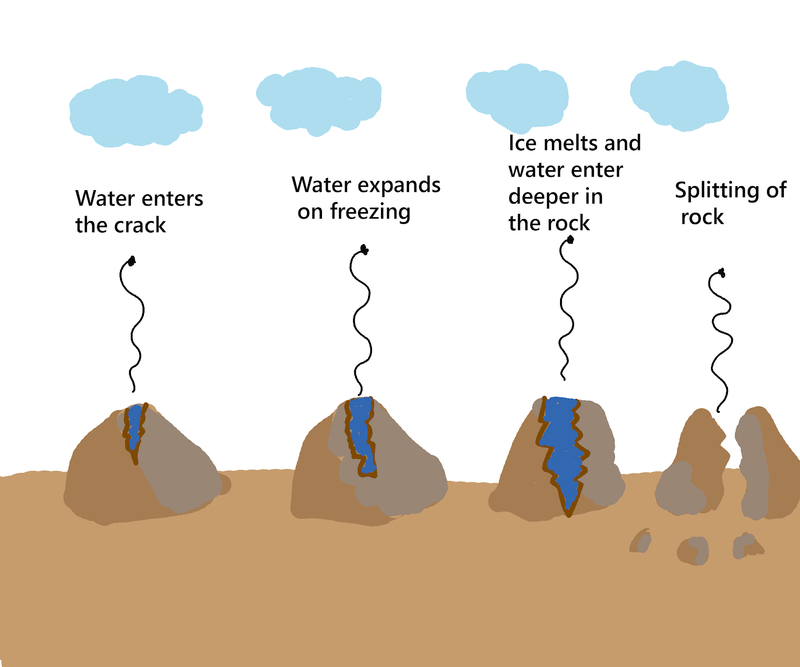 Water puts a pressure from insides of the rocks and expand which ultimately breaks the rock into pieces. When weathering occurs due to pressure put by roots of the plants when they try to reach out to water underground. Rocks which are made of minerals like limestone easily dissolve in the weak acids present in rainwater and seawater. The weakened rocks break down into smaller pieces. Another kind of movement of particles is mass movement. This occur due to gravity. There are four types of mass movements. 1. Rockfall – Big or small particles of rocks fall down the cliff in the influence of gravity and weathering. 2. Mudflow – Soil filled with water flows down the slope of the cliff. 3. 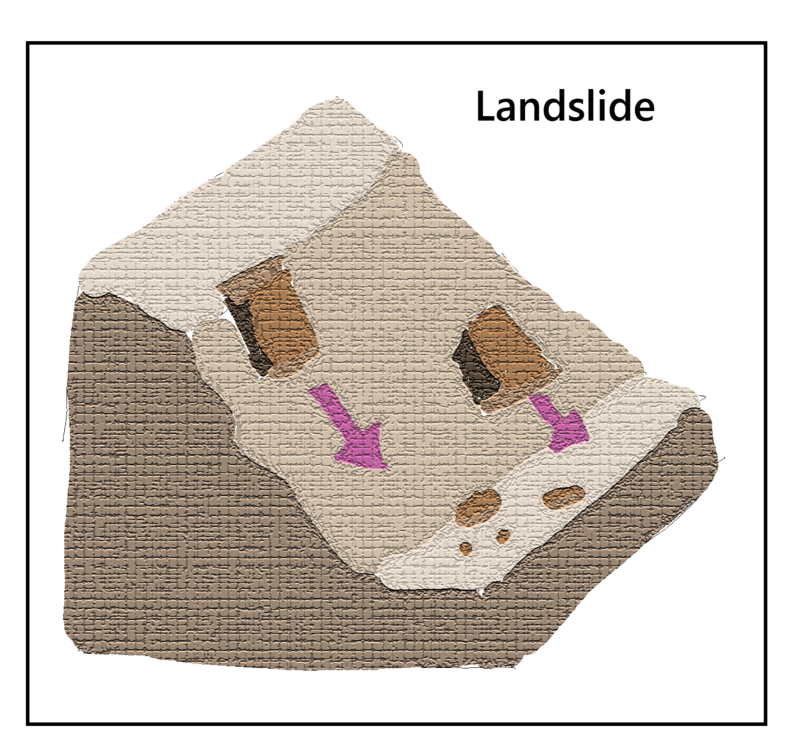 Landslide – Big blocks of rocks slide down the hill due to gravity. 4. Rotational slip – This happens when saturated soil slips down from a curved surface. The waves are responsible for wearing the rock away along the coastline. The eroded particles are transported away with the waves. These wave are destructive in nature. Abrasion – When small pebbles grind along a rock and the rock become smooth overtime. Attrition – When rock carried by sea hit each other and break into smaller parts this is called attrition. Solution – Minerals like chalk and limestone dissolve in sea water and is transported from one place to another. Hydraulic action – this is the sheer power of the waves as they smash against the cliff. 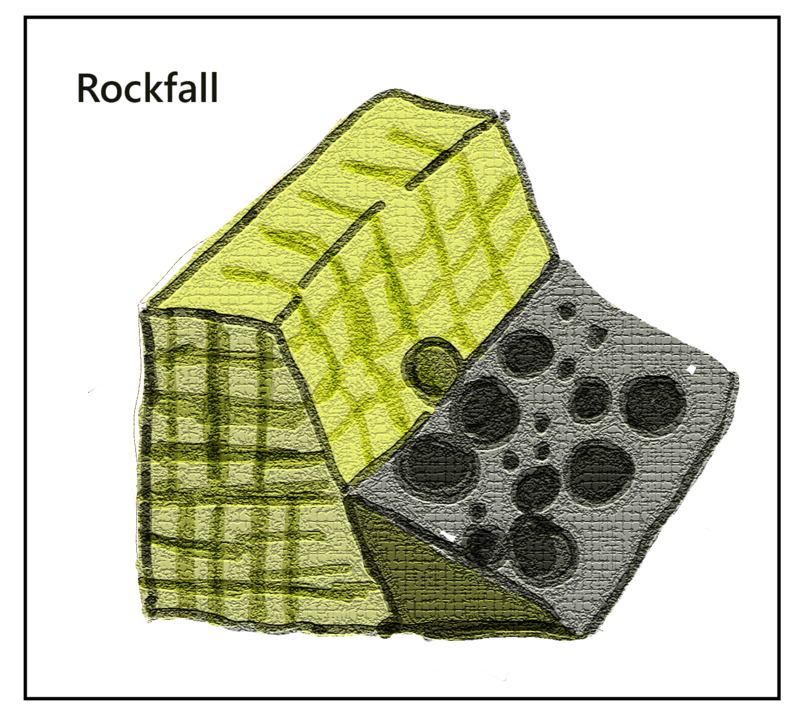 Air becomes trapped in the cracks in the rock and causes the rock to break apart.